FloorTech Group – What Do Mona Lisa Fame and Great Business Have in Common? What Do Mona Lisa Fame and Great Business Have in Common? Seth Godin talks about the importance of simply showing up. Again and again and again. It’s probably the best way to make sure your customers are aware of you. What made the Mona Lisa an icon – and thus so valuable (upwards of $80 million!)? It’s probably not the quality of the painting or the beauty of the subject or even that it was painted by Leonardo Da Vinci. 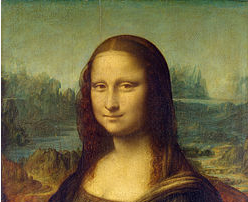 What catapulted the Mona Lisa from famous to iconic was that it was stolen August 21, 1911 from the Louvre in Paris. From that day forward, it was front-page news. For two years, right when newspapers were just beginning to come of age, the public had an insatiable appetite to read; and intrigues about the Mona Lisa were daily fare. Two years of focused attention meant everyone in the civilized world who could read, knew about the Mona Lisa. In an April, 2005 column, John Lichfield described the Mona Lisa as “the most visited, most written about, most sung about, most parodied work of art in the world.” This global recognition surely grew out of the notoriety created by two years under the world’s spotlight. Today, there are a myriad of media outlets vying for your attention, each of which makes a subject “famous” for shorter and shorter periods of time. The goal then, is not to have that moment of fame [and then most likely fade away], but to consistently show up. Even when showing up costs more. Even when showing up isn’t convenient and takes longer than you expected. Even when showing up is frustrating and exhausting. Every day for 2 years is about 700 “touches.” It makes sense that your business would increase after 700 positive customer touches, right?